Building on the pioneering SYNC® in-car connectivity system it launched in 2007, Ford Motor Company today announces new system investments and organizational alignments to deliver the industry’s best fully integrated connected car and digital consumer experience. 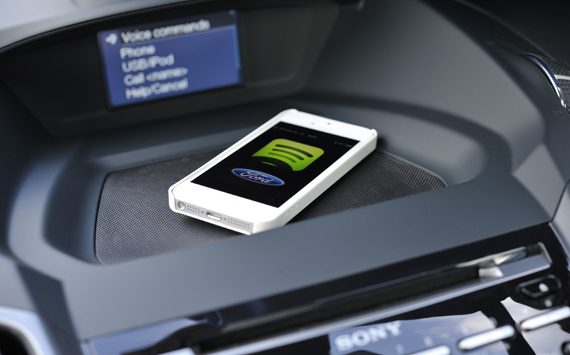 Just ahead of expected additional announcements at the 2014 International CESÂ®, the worldâ€™s largest hands-on showcase of emerging innovation, Ford announces it will expand its industry-leading SYNC AppLinkâ„¢ system to 3.4 million more vehicles currently on the road. 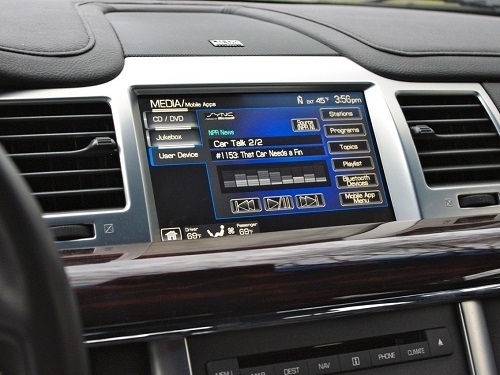 Since its launch in 2010, Ford has migrated SYNC AppLink to more products and customers around the world, enabling vehicle owners to access and control smartphone apps including TuneIn, NPR and iHeartRadio via voice command. More than 1-million vehicles equipped with SYNC AppLink are on the road today, and another 3.4 million vehicles â€“ model year 2010 and newer â€“ will be eligible to download AppLink later this year. Currently, SYNC AppLink allows users to seamlessly control over 60 smartphone mobile apps â€“ on both iOS and Android platforms - using the carâ€™s voice commands, enabling drivers to keep their eyes on the road and hands on the wheel. Ford is the first automaker to offer an open developer program, www.developer.ford.com, to help keep customers connected inside the vehicle and will continue to add new SYNC-enabled smartphone apps to enhance the driving experience. Today, consumers continue to demand more personalized, simplified and integrated in-vehicle experiences. And, with consumers spending more time with digital media than with any other, Ford hopes to turn the connected vehicle into an intelligent vehicle, one that simplifies and personalizes the in-vehicle experience for the consumer. Beyond the in-car experience, Fordâ€™s ultimate goal is to use connectivity and digital to transform every aspect of the ownership experience, and to build the foundation for future mobility initiatives. With the eventual proliferation of embedded telematics capabilities for Ford Motor Companyâ€™s SYNC system, as recently announced on Lincoln MKC, a newly aligned organization will manage connectivity across the entire enterprise. Leading the newly aligned organization is automotive and telematics industry veteran Don Butler, who brings a wealth of experience. Butler will report to Nair, with matrix reporting to Farley and Nick Smither, group vice president and chief information officer. Butler was most recently vice president, Global Strategy for Cadillac at General Motors, where he also led strategy and business development for the companyâ€™s OnStar division. Butler also served as vice president for telematics startup INRIX.